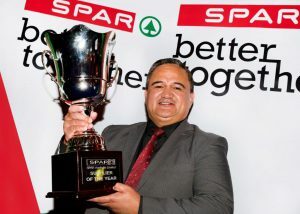 Held at the Novotel Twin Waters Resort on the Sunshine Coast in the premium overwater function venue Lily’s on the Lagoon, the 2018 SPAR Australia Supplier Awards Gala Dinner was attended by over 100 Spar Supplier Partners where they celebrated the outstanding successes and achievements of the 2017 year with SPAR Australia. Further, SPAR Australia continues to expand its Private Label. In conjunction with SPAR International, the Range has expanded quickly with many innovative products in the ready to launch. Many thanks to Vicky Chan, SPAR International’s Product Sourcing Specialist (APAC), who made the long trip from Amsterdam to be with us on the night.